We are on Summer break, enjoying every single lazy day and the only reason we want to look at a calendar is to figure out how many times we can go swimming before school begins again! 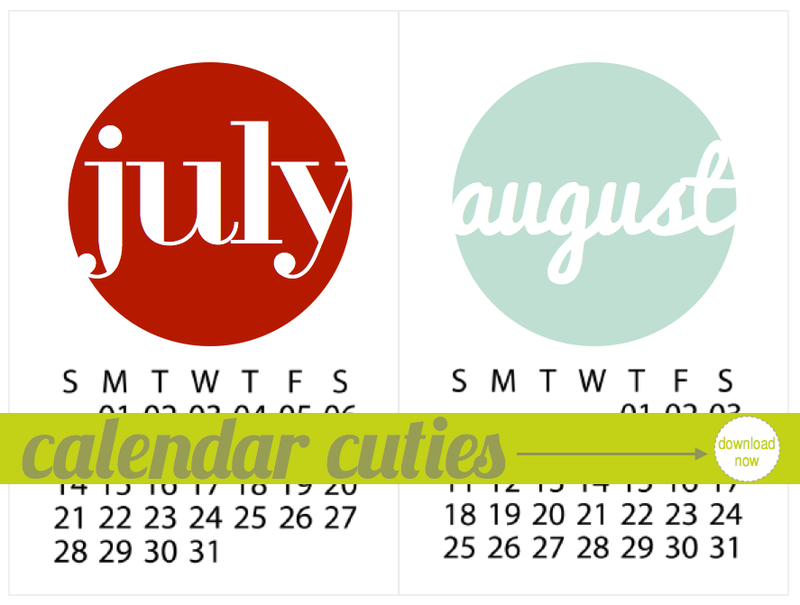 Here are your Calendar Cuties for July and August. They're sized to 4x6 and are perfect to washi tape to the fridge, add to your Project Life albums, highlight on a scrapbook layout or just drag to your computer desktop to plan out the rest of your Summer. oh my, is it almost time for a new month yet? time is flying by too fast. It's hard to believe we're heading into the second half of the year already. Whew, that was fast!